Owning a home involves a great deal of responsibility. For one thing, there’s not only the responsibility of paying your mortgage and monthly bills, but also to keep your home well-maintained, both for you and your family’s comfort and safety and so the home can retain its value over time. Sometimes, a home needs major repairs and maintenance due to unforeseen events like a strong storm that causes downed tree limbs on a gutter or a deck that undergoes significant water damage. At other times, homes simply require periodic or occasional maintenance to ensure their continued good operation. 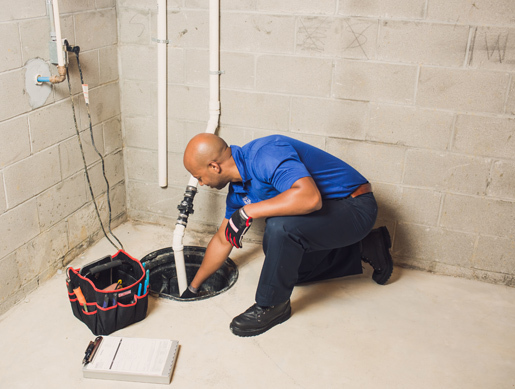 When you need some routine home maintenance or you want your home inspected to make sure it is in good shape, you can count on a Sears Handyman technician. Our professional service personnel are well acquainted with the ins and outs of home maintenance, repair, and improvement. 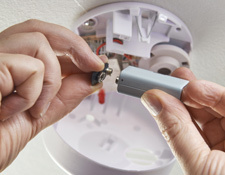 Smoke alarm replacement or maintenance. 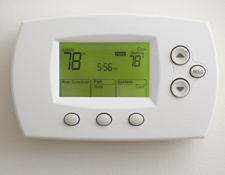 Many of your home’s crucial operating systems and devices are battery operated, including your thermostat, smoke alarms, emergency lighting systems, remotes, and garage door openers, among others. These batteries and systems can be in difficult areas to reach, requiring a ladder to reach and service. For those hard-to-reach areas and complex devices that some homeowners struggle with, you can contact a Sears Handyman professional to check and change batteries throughout your home and garage. Lawnmowers remain a crucial piece of equipment for lawn and home upkeep. Without them, grass and weeds grow wild and uncontrolled, making your lawn look unkempt. While most homeowners know how to operate a lawn mower, some have difficulty maintaining it in between growing seasons and between uses. Most gas lawn mowers require their oil to be changed, blades sharpened, and ports cleaned of debris on a semi-annual basis. 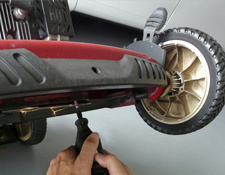 Without this servicing, a lawnmower can become inoperable. For lawn mower and other equipment servicing (weed trimmers, snow blowers, leaf blowers, etc. ), you can contact a Sears Handyman to inspect and service your equipment as needed. Don’t wait for a sudden problem to occur that could have been avoided. Instead, contact a Sears Handyman today and ensure that your lawn equipment remains functional when you need it. Your home consumes a fair amount of energy each year, much of which is attributable to heating and cooling costs used for certain utilities. In fact, the average American home uses 10,908 kilowatthours of energy per year. While utility costs in the form of heating and cooling are always a part of homeownership, there are several steps that can be taken to maximize your home’s energy efficiency. These steps, when aggregated, can lead to big savings on your yearly energy costs. With these and other home energy efficiency improvements installed, you can dramatically affect your home’s energy efficiency, which can translate into savings on your energy costs. Contact your local Sears representative today and get your home’s energy efficiency updated.